Blank membership certificate from the Theodore Roosevelt International Highway Association, Minnesota Division. This image is presented for research and educational purposes only. Permission to reproduce required. 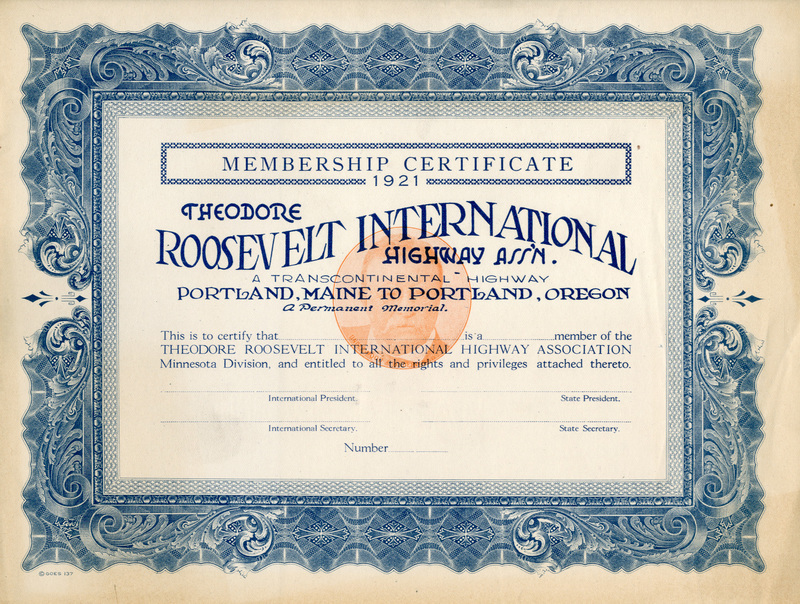 Theodore Roosevelt International Highway Association, “Membership Certificate,” Digital Vermont: A Project of the Vermont Historical Society, accessed April 18, 2019, http://digitalvermont.org/items/show/1271.